Mosquitoes comprise a large family, Culicidae, of slender, scale-covered flies found worldwide. We think of mosquitoes as voracious blood-feeders, but the primary food of adult mosquitoes is actually nectar. Females of some species take blood as a protein source for their eggs, and those that feed from humans may vector diseases like malaria, west nile virus, and yellow fever. 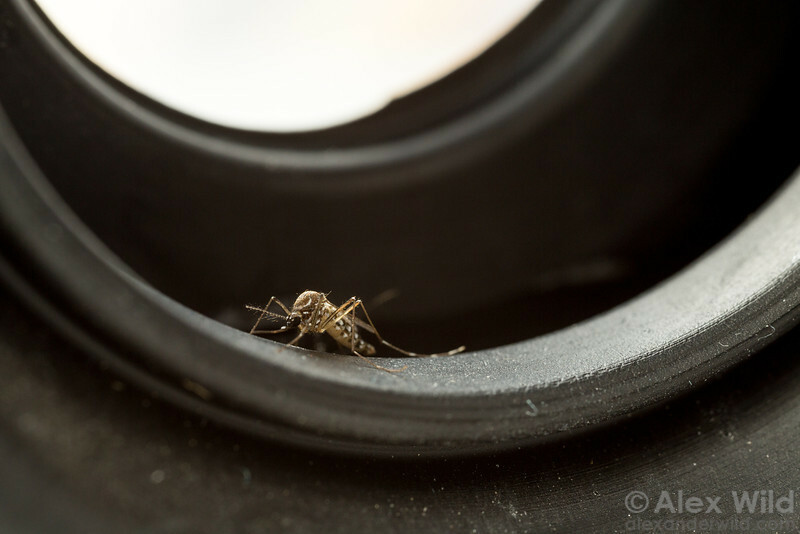 Yellow fever mosquitoes normally develop in small containers of water such as pools in old tires. Laboratory culture at Rockefeller University.